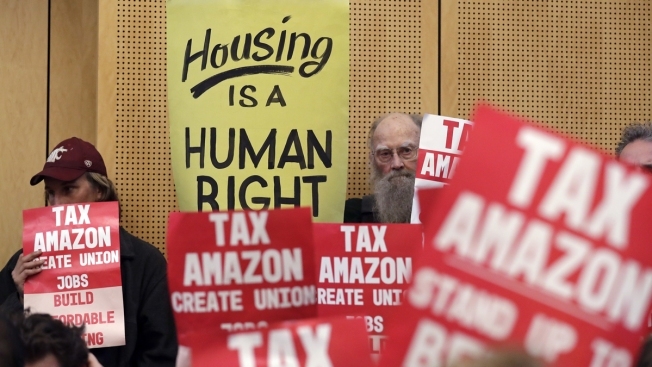 Members of the public look on at a Seattle City Council before the council voted to approve a tax on large businesses such as Amazon and Starbucks to fight homelessness, Monday, May 14, 2018, in Seattle. The council on Monday unanimously backed a compromise tax plan that will charge large businesses about $275 per full-time worker a year. It's lower than the $500-per-worker tax initially proposed. The tax would begin in 2019 and raise about $48 million a year to pay for affordable housing and homeless services. 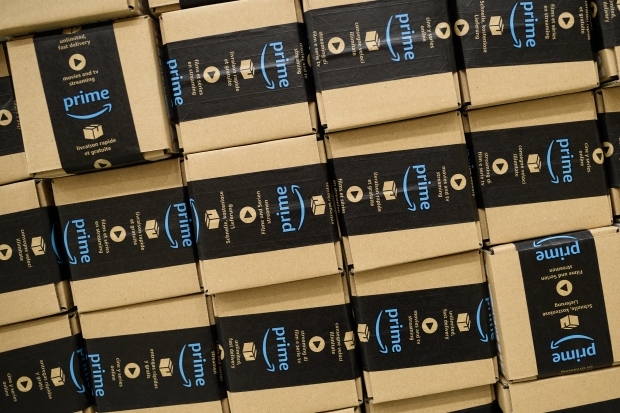 The monthly price of Amazon Prime is going up. Consumer Reporter Susan Hogan has the details. 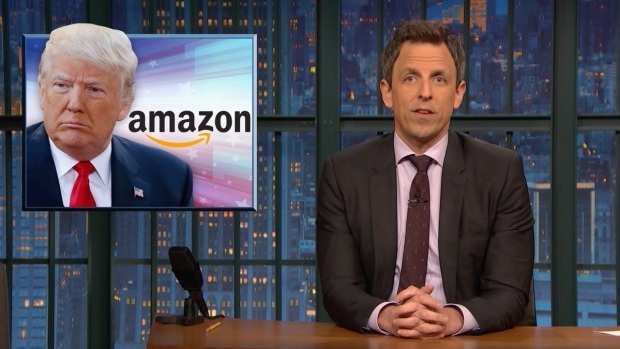 Seth Meyers takes a closer look at the Trump administration's plan to send the National Guard to the U.S.-Mexico border and the president's attacks on Amazon. Starting in September, the 55-year-old Space Needle will undergo renovations to add a floor-to-ceiling glass observation deck and a glass restaurant floor.